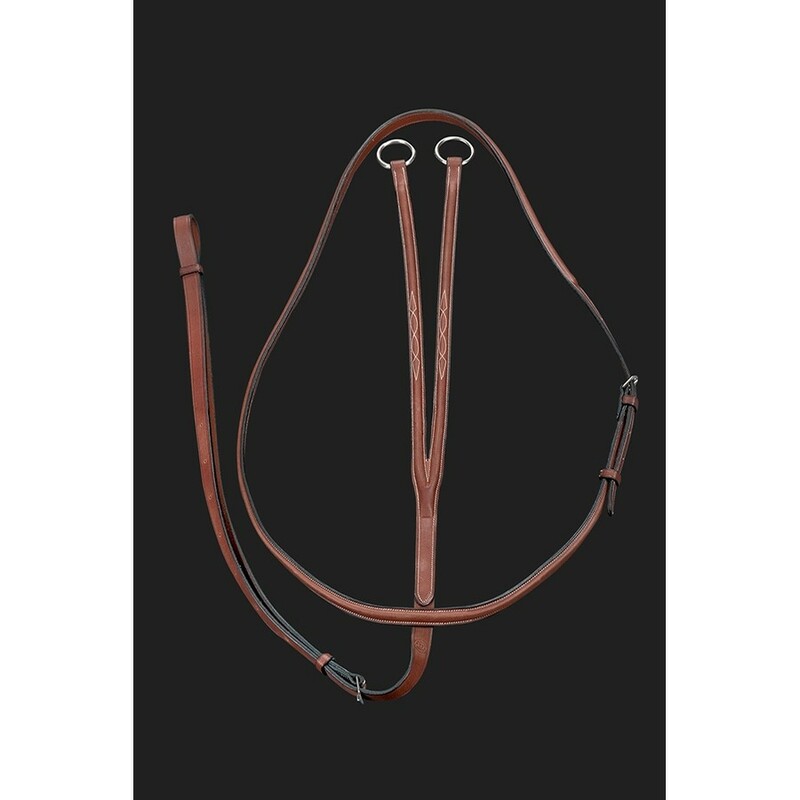 The Arc De Triomphe Imperial Running Martingale is square raised both around the neck as well as the running portion from the center of the chest. Accented with white fancy stitching. Available in Brown.